I hope I submitted this properly. You mention that it has an area of effect, but don't mention where/what it's centered on, or how big the area is. I've seen paper airplanes, made my own too (like almost anyone else who's been bored and had free access to paper). 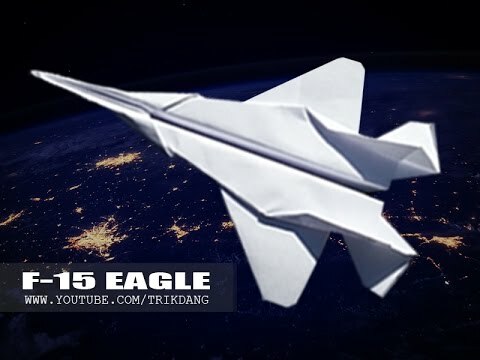 Unless you're talking about the really fancy papercraft/oragami paper airplanes (like this), most readers will assume you're talking about one of these. So saying that they behave like aircraft they're based on doesn't really make sense… because most paper airplanes aren't modeled on real aircraft. You claim that they're hostile to other instances on another "team", but don't go into much detail about how this is the case. Do they just chase after each other, or summon explosive missles made of paper at each other? Has anyone ever tried contacting the planes? If we can hear their chatter on standard radios, we can also try to send them messages too. Finally, this doesn't really do much to engage the reader. Is there a core narrative or story you're going for here? If not, I'd suggest you look into adding one: most current SCPs use one, and trying to get a SCP to suceed based only in the force of its anomaly is difficult. Take a peek at multiple Series II and III articles to see what I nean when I say "story", but be sure to focus on how the object is used in the article, rather than just what it is/does. If all instances of SCPXXX are the same color then they act as All instances of SCPXXX are able to transmit and receive radio signals. I see. I hope I fixed some of the issues. I know I need to work on the narrative aspect among other things.